Why Are Kids Today So Anxious? 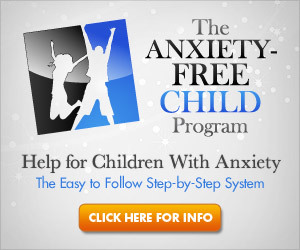 Lately there has been a lot of talk about how anxiety is affecting kids and teens. Mental health workers are working on modifying existing treatments for adults to help anxious children. But what is behind all the childhood anxiety today? How Does Behavioral Therapy Work for OCD? If you have Obsessive-Compulsive Disorder, you may not be aware of all of the treatment options you have. You might think your only choice is to try medications, but there are other ways to deal with OCD. Read more about cognitive behavioral therapy here. Healthy, restful sleep is an important part of maintaining your physical and mental well-being. New research is showing that there may be a special reason for people with PTSD to make sure they aren't suffering from a sleep disorder. Being diagnosed with a serious condition like cancer can be devastating and extremely stressful. Fearing for your life and dealing with your worries on a daily basis can have an effect on your personality and decisions. Find out how PTSD can affect people who struggle with or have struggled with cancer. It is always a good idea for people who are suffering from anxiety problems to see a licensed mental health professional. But some people are wary of trying just any treatment; how do they know what will work? Find out about a new tool that may provide the insight we need! It's been all over the news lately: anxiety disorders are increasing in people in the US and the UK, as well as in people from many other countries. But do we fully understand what these headlines mean? Read more here. We've all heard that our diet can affect our mental health, but to what extent is this true? A new study from Japan suggests that a certain food may actually help to prevent anxiety. Read all about it here! Can Stress Get You Fired from Your Job? As our society becomes more aware of the ills of stress and anxiety, organizations are learning how to handle symptoms of both in the workplace. While there have been some improvements, there are still issues that need to be addressed when it comes to job-related stress. Find out more here. Teenage girls are the most prone group to developing anorexia. People with anorexia suffer from frequent anxiety, and this makes it more difficult for them to recover. Read about how experts are successfully treating these teens here.